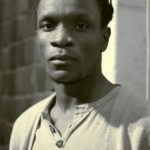 Born in Port Antonio, Jamaica, poet Ishion Hutchinson earned a BA at the University of the West Indies, an MFA at New York University, and a PhD at the University of Utah. He is the author of two collections of poetry: Far District (2010), winner of the PEN/Joyce Osterweil Award, and House of Lords and Commons (2016), winner of the National Books Critics Circle award. Hutchinson’s additional honors include a Whiting Writers’ Award and the Academy of American Poets’ Larry Levis Prize. Most recently, in 2017, he was awarded a Guggenheim Fellowship. A Pirogue Fellow, Hutchinson teaches at Cornell University.